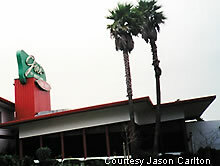 Check out this lines on Joe's Restaurant in the Bay Area. 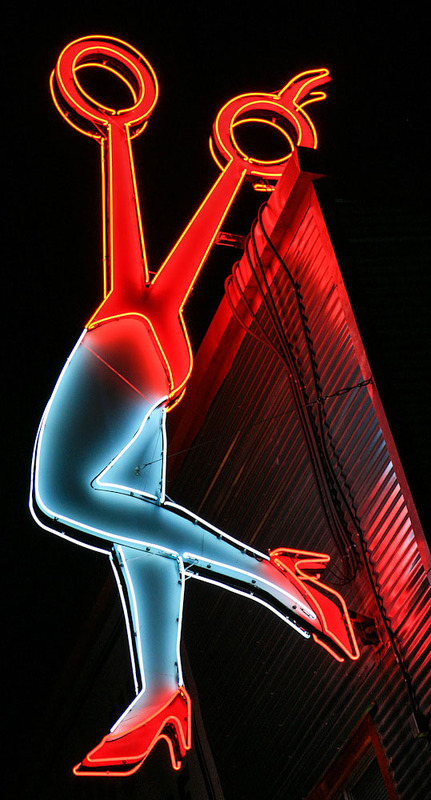 The sign and the building of this steak house/supper club really spoke 'Rat Pack' era. 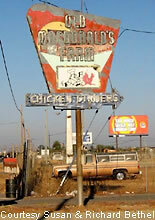 Here's an old sign that points to the remains of the Old Macdonald's Farm near Sacramento. 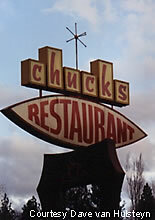 Here's a nice retro marquee for the Chuck's Restaurant. The different cut out shapes and mix of upper and lower case font make this sign special. Here's a unique sign for a roadside eatery. The marquee for Fine Food features a thermometer. Hopefully the 62 degrees doesn't reflect the food temperature. This place became the Far East Restaurant. 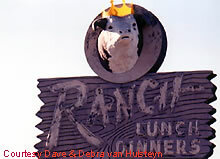 The Hayward Ranch in Hayward along Mission Boulevard features a cow that looks like a king. An interesting effect to say the least. Not quite sure what the cow is made out of, though he looks rather real in the photo. This place has been around since 1948. The Pine Cone Restaurant marquee is somewhat unremarkable, other than its flashback advertisement for fountain services and good food. This is a photo of a "ham guy." Not sure of the name of this place, but the sign looks great, especially around dinner time. This sign may also look quite interesting at night.